The Holy Archangel Gabriel was chosen by the Lord to announce to the Virgin Mary about the Incarnation of the Son of God from Her, to the great rejoicing of all mankind. Therefore, on the day after the Feast of the Annunciation, the day on which the All-Pure Virgin is glorified, we give thanks to the Lord and we venerate His messenger Gabriel, who contributed to the mystery of our salvation. 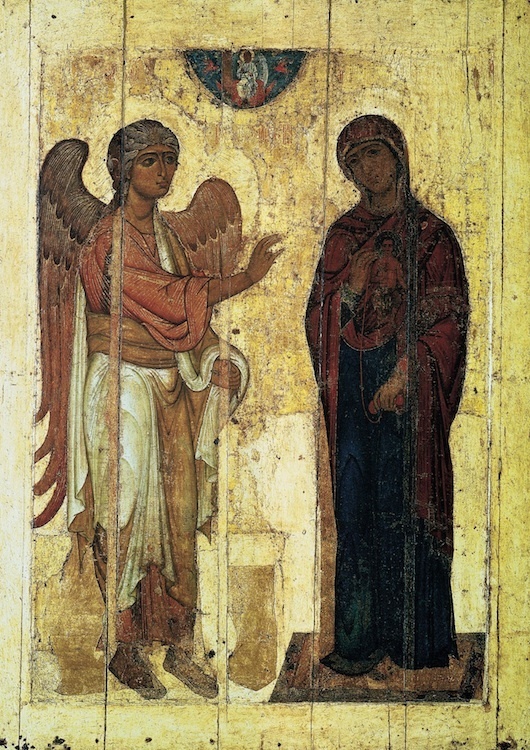 The Synaxis of the Holy Archangel Gabriel is celebrated on March 26 (the day after Annunciation) as well as on July 13. All the angels are commemorated on November 8. O Supreme Commander of the hosts of Heaven, unworthy though we are, we ever entreat thee that by thy supplications thou dost protect us with the shelter of the wings of thine immaterial glory, preserving us who earnestly fall down and cry aloud: Deliver us from misfortunes in that thou art the commander of the hosts on high! Supreme commander of God, minister of His divine glory, leader of the angels and instructor of men: ask for us great mercy and that which is profitable in that thou art the supreme commander of the incorporeal hosts.